"Constitutional guarantees cannot be compromised by vicissitudes of technology", he observed. 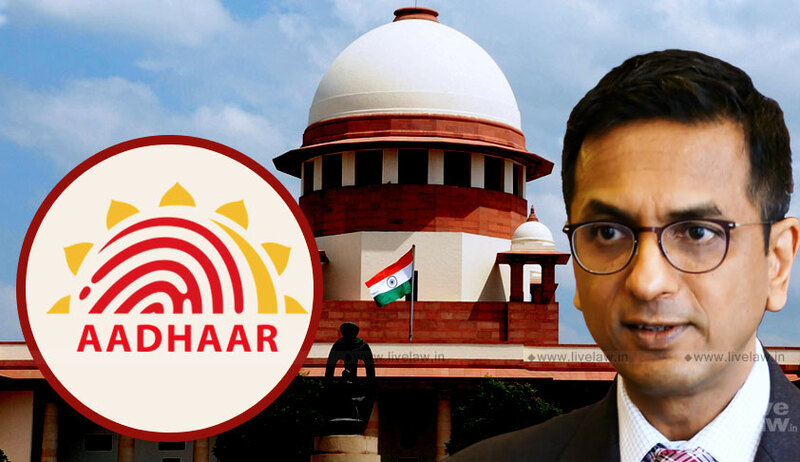 The very act of passing the Aadhaar Act 2016 as a money bill was held to be unconstitutional by Justice Chandrachud, dissenting from the majority view expressed through Justice Sikri's judgment that there was no impropriety in introducing it as money bill. "The passing Aadhaar Act as money bill is a fraud on the constitution", Justice Chandrachud observed. The decision of Speaker to classify a bill as money bill is amenable to judicial review. The judgment also highlighted the importance of Rajya Sabha in passing laws. "If a constitution has to survive political aggrandizement, notions of power and authority must give compliance to rule of law. ", he observed in his dissenting judgment. Section 57 of the Act was held to be violating Articles 14 and 21 of the Constitution. Allowing private enterprise to use Aadhaar numbers will lead to the exploitation of data. Holding that Aadhaar had the potential for surveillance, it was stated that the architecture posed risk on the potential violation of leakage of the database. The source code is of a foreign corporation. "The data must all the time vest with the individual", said the judgment. It was held that many provisions of Aadhaar Act provide for invasive collection of biometric data.